Enjoyable and fun to drive. Economical engines. Sensibly priced. Feels well built. Ride harshness over bumps improved for 2011. Interior plastics aren't soft to touch. Side bump strips a dealer-fit option. 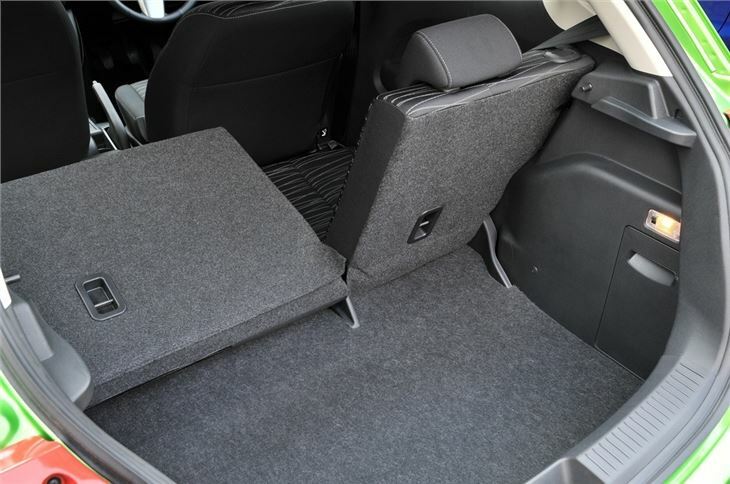 rear seats don't fold flat. 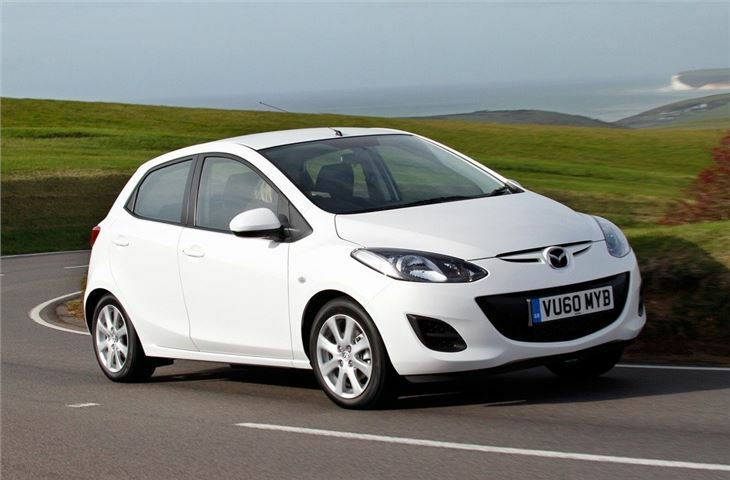 Steering 'clunk' reported on 2011 Mazda 2 1.5 Sport. Thought to be the electric power steering motor. 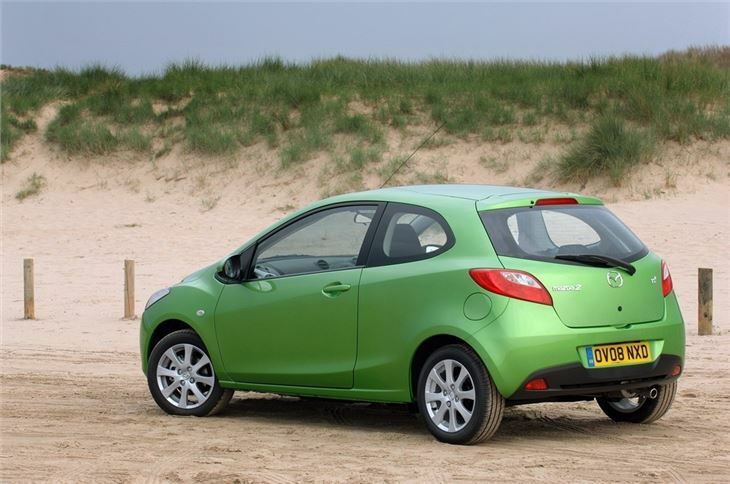 Alongside more recent rivals the Mazda2, introduced in 2007, is starting to show its age. The cabin layout looks outdated and the materials don’t feel particularly plush, while exterior styling no longer stands out as radical or dramatic. 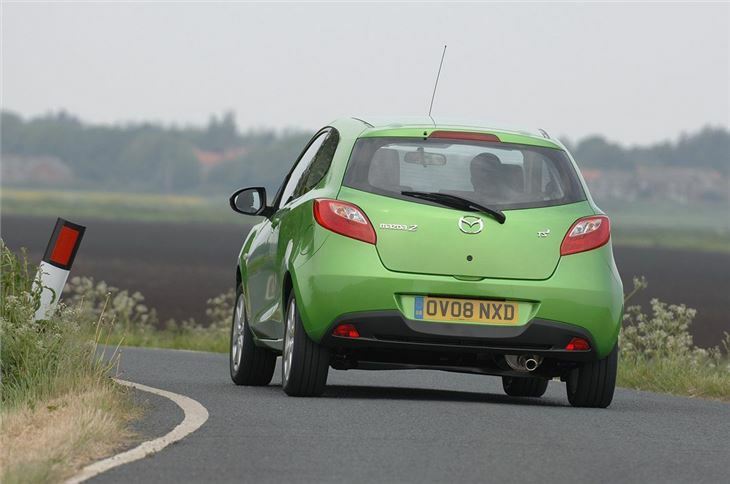 That said, there is still appeal thanks to fun driving dynamics and peppy engines. 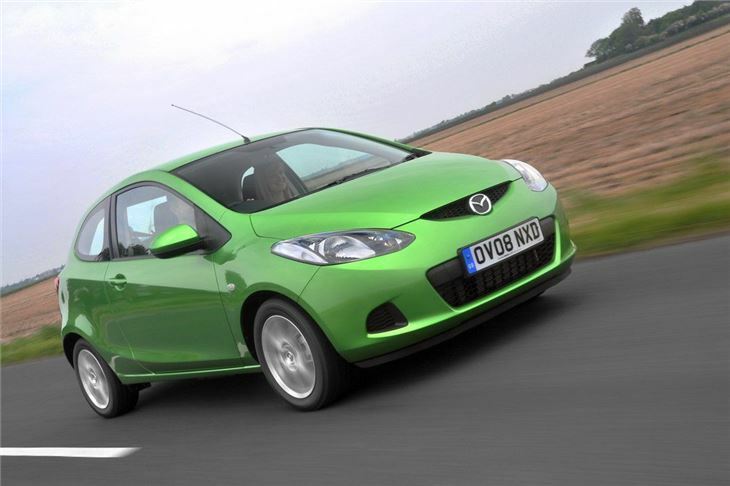 Refinement isn’t impressive next to cars like the Ford Fiesta or Volkswagen Polo. 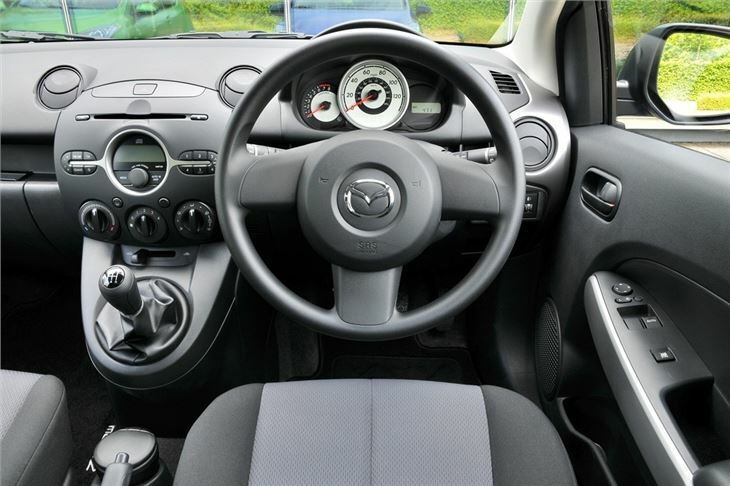 A lot of engine noise makes it into the cabin even under normal driving conditions and road noise isn’t particularly well suppressed. 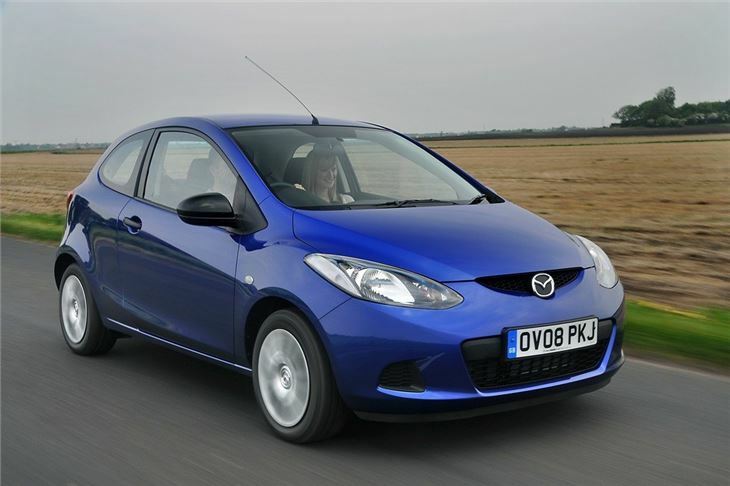 The suspension could offer better ride quality, too – but they payoff is great handling in bends. 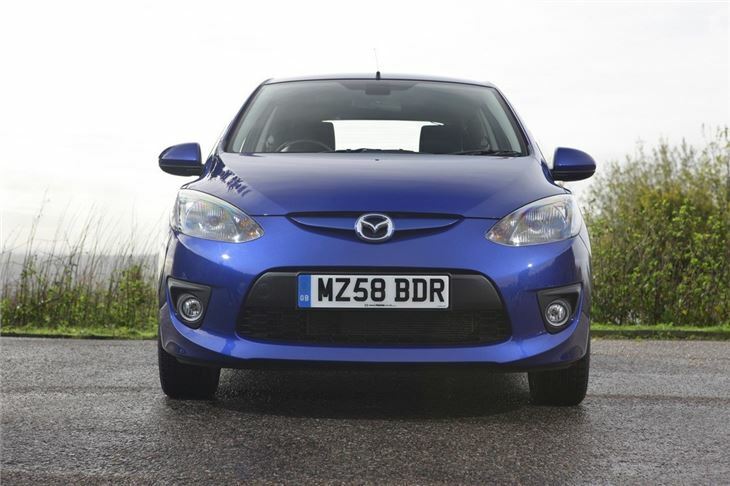 On a B-road the Mazda2 is excellent fun, with precise, well-weighted steering, a slick gear change and good body control. There’s plenty of feedback from the car, which inspires confidence. 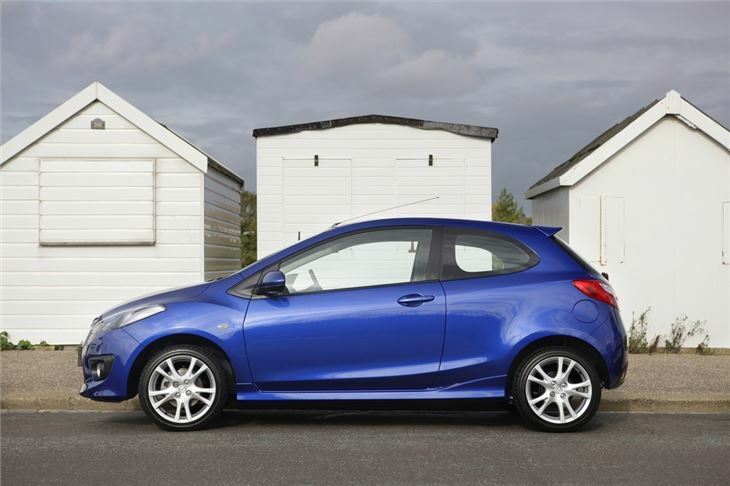 It’s not as good of an all-rounder as the Fiesta, but in terms of fun it does give the popular Ford a run for its money, along with the Suzuki Swift. 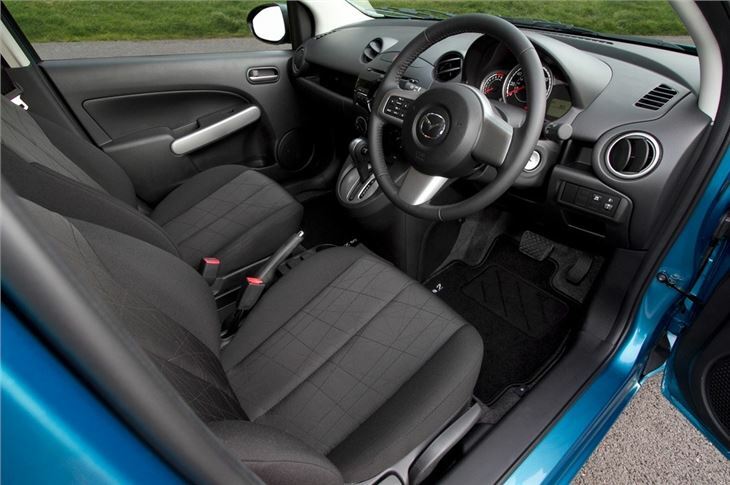 Space inside isn’t bad, nor is it particularly impressive – adults will fit in the back and the boot is big enough for a shopping trip at 250 litres, but there are more practical options on sale including the Skoda Fabia or Honda Jazz, both of which have better cabin finish. 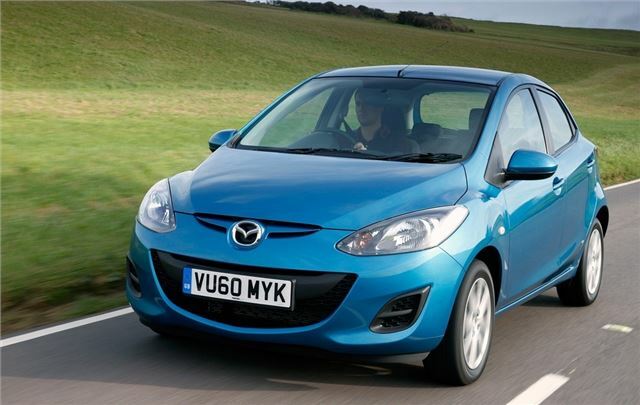 The Mazda2 is competitively priced and offers low running costs, but it is now out of date compared to its rivals. 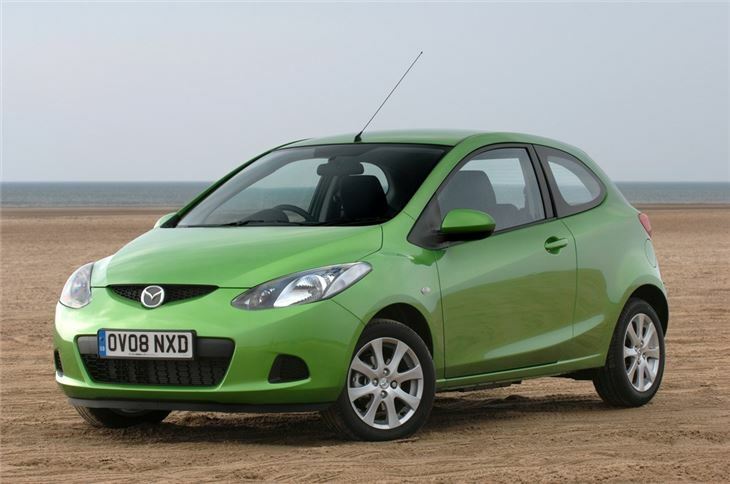 For someone who lives in a rural area and enjoys driving it could be the right choice if a good deal can be made, but for most there are better options on sale. 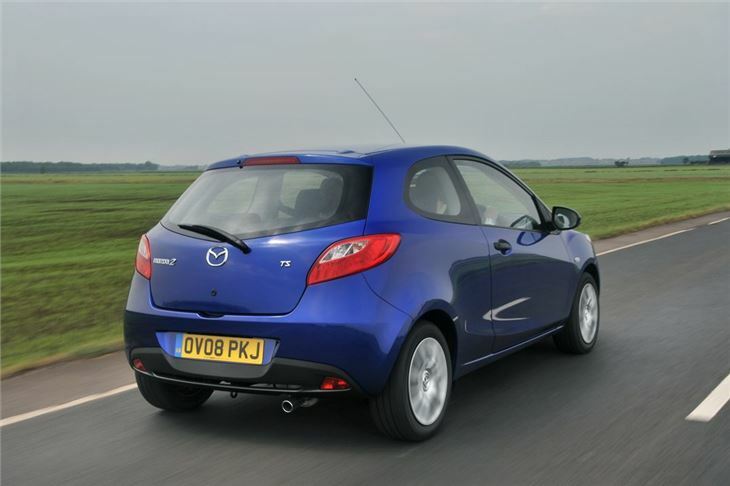 A good all round supermini.